Safer infrastructure repair. 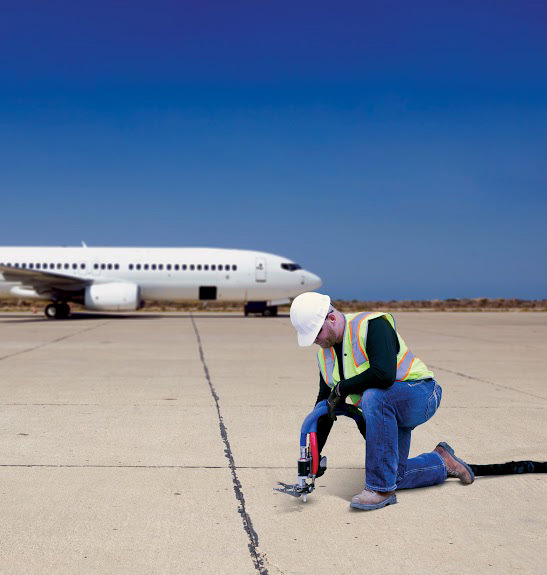 With PolyLevel®, a fast, cost-effective solution, there's no need to ignore those settled concrete problems at airports and railway crossings. As communities grow, maintaining functionality of the aging infrastructure is an issue that is both pressing and common. Without having effective rehabilitation systems in place to keep things such as airports, public railways, and sewer systems operating at efficient levels, our cities would not be able to operate as needed. 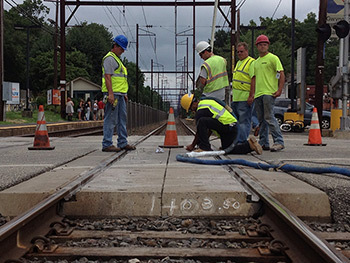 In the past, settling concrete at airports and railway crossings, or leaking sewer lines below roadways, were often fixed by tearing out the old and replacing with new. This solution is not only expensive and time consuming, but also causes major inconveniences to the general public. The PolyLevel® system offers an excellent solution to these aging infrastructure problems that allows our towns and cities to maintain operating efficiencies and serve the public while repairs are taking place. With its non-invasive, superior adhesion and waterproof characteristics, PolyLevel® provides a safe and effective repair to leaking water and sewer lines. 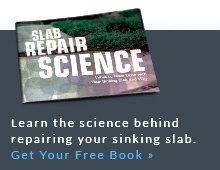 The system also provides many benefits when fixing sinking concrete over alternative methods such as tear-out and replacement or grout injection. 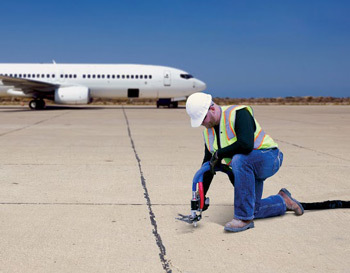 With its high compressive strengths, quick cure times, and non-invasive equipment, PolyLevel® gives airport and railway authorities a cost-effective solution without compromising service levels. 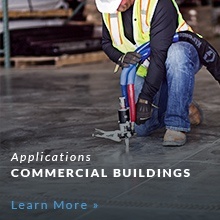 PolyLevel® can be used for numerous commercial applications. Contact us today to use PolyLevel® for your next project and to setup an appointment with your local concrete leveling contractor to get a Free Estimate!